Some of our handmade products may take at least 1-2 days to process and ship. If an item shows as backordered, it may take a week or longer. We only offer USPS shipping. For small, lightweight packages, like most of the ones we ship, USPS rates are cheaper than United Parcel Service (UPS) and Federal Express (Fedex). USPS Delivery Issues: Once the USPS picks up a package from us and issues a tracking number, the USPS is fully responsible for delivery. We ship all items with a USPS tracking number, which is included in the shipping fees. The tracking number is usually emailed to you at the end of the day we ship. You can go online to the usps.com site, enter your tracking number and see the status of your package. If an item does not arrive, is missing or late in arrival, or damaged, the buyer should contact the USPS directly with the tracking number and ask for a Case Number to be assigned. In our experience, once a case number is assigned, we have found that the USPS usually finds the missing article. Also, contact us and we will try to help in whatever ways we can; but the USPS must confirm the status of an article with a Case Number before we can take further action. Information for contacting the USPS is available at USPS.com. Verified Addresses: To make sure your package arrives at the proper destination, we only ship to USPS verified addresses. If the United States Post Office cannot verify your shipping address, we will email you and request a corrected address. If we do not hear back from you within three days, we will cancel the order and issue a full refund. If you ask us to ship to an unverified address anyway and the shipment is returned to us, we can refund only the cost of the product, not the shipping cost, as long as the product itself is in good condition. If you want insurance, contact us and we can see how much extra it would be. Shipping & Handling fees are based on total weight of products, packaging and shipping container (before tax, coupons and discounts). You can view your shipping fees and options before check out. To see the shipping fees, and also any taxes and coupon adjustments to your cart, click “FOR BEST RATE: Click Here to Add Your State & Zip Code” below the shipping prices. Adding your zip code will show an accurate shipping total after you click the UPDATE button. If you make any changes to your cart, like adding another item, always UPDATE your cart for the new total. IMPORTANT: Be sure to click the FOR BEST RATE link and then enter a valid zip code and matching State (or Province in Canada) to see the cheapest rates. All prices are estimated, and include labor and packaging. Some prices vary by distance (postal zones). Note that the USPS raised rates again beginning January 21, 2018. Beginning in 2019, the USPS prices First Class mail prices vary by distance/region. Shipping from Austin, TX to Dallas, TX is cheaper than shipping from Austin, TX to Los Angeles, CA. 1 ounce to 15 ounces ranges from $7.00 to $12.00 depending on distance/region. 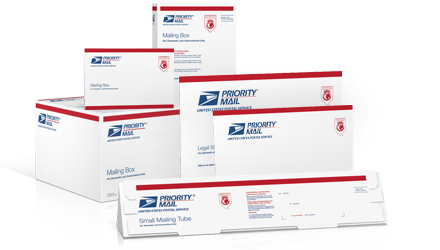 Priority Mail includes insurance against loss, damage, or missing contents up to $50 at no additional charge. USPS conditions may apply. See their website for details. • To see the shipping cost before you purchase, load items into your cart, VIEW the cart, and click the pop-up shipping button under Cart Totals. To see shipping and any applicable sales tax, click the Calculate Shipping arrow. • We usually ship out items within 1-3 business days of your order (all products are hand assembled in the USA). The US Post Office advises you allow 5 business days after mailing for First Class items to arrive; and allow 1-3 business days for Priority mail to arrive. • Texas sales tax is applied to the final purchase (after coupons or discounts), and to shipping fees, but only when shipped to Texas addresses. • When an order is completed, you will receive an Order Completed email and in most cases, it will include the tracking number. If it doesn’t, you can also log into your account if you created one when you placed your first order. Select the My Account button on the top menu and use the Track button next to your order. If you checked out as a Guest, you may contact us via our Contact form after you receive your Order Completed email to get your tracking number (though it’s usually included in the email). When requesting a tracking number, please include your invoice number. For shipments outside the USA, our shipping software may default to Priority during the order process. If you want the cheaper option, be sure to select it. Please be aware that Canadian customers are responsible for any duty/tax fees. * We ship items via USPS First Class International with Tracking or Priority Mail (Priority Mail always includes tracking). Our Shipping and Handling fees are based on your total cart purchase (prior to adding shipping fees). All amounts are in US dollars. When entering your address, please place CANADA on the last line by itself. The postal code should be on the line above the last line. In many cases, the USPS will only accept FIVE address lines, including CANADA on its own line. *NOTE: Canadian buyers are responsible for paying duties and taxes, as explained by the Canadian Border Services Agency. We cannot mark items as gifts on customs forms since they are shipped from a business. Prices vary. Currently we offer shipping to Austria, Belgium, Denmark, France, Germany, Ireland, Netherlands, Norway, Sweden and the United Kingdom. Please be aware that overseas customers are responsible for any duty/tax fees collected at the destination address. As stated above for Canada, shipping & handling fees are based on total weight of products, packaging and shipping container (before tax, coupons and discounts). You can view your shipping fees and options before check out. To see the shipping fees, and also any coupon adjustments to your cart, click the CALCULATE SHIPPING link (it’s below the total on your CART page and also may be called BEST SHIPPING RATE). Then UPDATE your cart and recalculate if you make any changes to it. You will also be responsible for any additional fees imposed by your government after the shipment’s arrival in your country. IMPORTANT: Be sure to click the Calculate Shipping link and then enter a valid mailing code to see the cheapest rates. When entering your shipping address, please place YOUR COUNTRY NAME on the last line by itself. The postal code should be on the line above the last line. In many cases, the USPS will only accept FIVE address lines, including YOUR COUNTRY NAME on its own line. If you request that we ship your order to an address outside the United States via First Class Mail, the shipment will be tracked but NOT insured unless you request it. You will be asked to pay an additional charge for insurance. If you request and pay for Priority Mail, your shipment will receive US $50 of insurance as part of the shipping charge. Any additional insurance must be requested. If the USPS confirms that your tracked and insured shipment shows as delivered to the destination address but you or your recipient have not received it, you must notify us within 3 days of the delivery date shown on the tracking page for the package. We are not responsible for replacing shipments that the USPS declares delivered to the correct address. Shipping times to Europe vary, but can take from one to four weeks. We may add other countries when requested. If you live outside Austria, Belgium, Denmark, France, Germany, Ireland, Netherlands, Norway, Sweden and the United Kingdom, your country (Australia, for example) may restrict the importing of dried herbs, like the catnip in some of our products. Please Contact us, and include the name of your country and the product you are interested in. If our products can be shipped to your country, we will add that country to our shipping list.